The St. Andrew’s Leadership Institute is a 9-month intensive leadership and mentoring experience for recent college and seminary graduates, designed to equip, strengthen and inspire young leaders in preparation for Kingdom partnering in the Church and the world. “So, what are your plans after graduation?” If you’re a senior in college or a recent graduate, you’ve probably heard this question a thousand times. The years after graduation are a defining season of life. Maybe you’re wondering what God is calling you to do... or wondering what it will take to become the person you were created to be. What if there was a program that helped you think through these most important life questions? 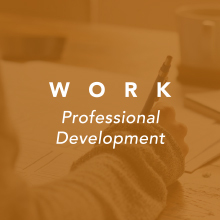 The St. Andrew’s Leadership Institute helps you explore these questions as you work in a local business or church setting relevant to your education, history, and skills. 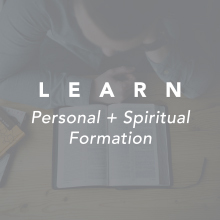 You will be mentored by a Christ-following leader in your chosen field as well as participate in an intentional community of like-minded young leaders called Associates who will be trained to see themselves as leaders in God’s Kingdom work. Romans 12:4-5 says, “For just as each of us has one body with many members, and these members do not all have the same function, so in Christ we, though many, form one body, and each member belongs to all the others.” God has called his Church to function as a Christ-centered community built on mutual love and support and equipped for a life of mission, regardless of role or job. In addition to cultivating authentic life-giving friendships with other participants in the Leadership Institute, you will have the opportunity to build significant relationships with your host family, mentors, coworkers, church members and people throughout Newport Beach and Orange County. As you work, live, and learn in a community of Christ followers, by year’s end, you will have been a part of and developed a multi-generational community of friendships that will change you and stay with you for the rest of your life. Jesus said, “I am the vine; you are the branches. If you remain in me and I in you, you will bear much fruit; apart from me you can do nothing.” (John 15:5) This image of a fruitful vine points toward the source of our vitality as well as casts a vision for what we will ultimately become as we remain connected to him. The St. Andrew’s Leadership Institute is a life-changing opportunity for you and a select group of young leaders who desire to be encouraged and equipped to grow deeply as you learn what it means to know, trust, love and follow Jesus Christ in all areas of your life. 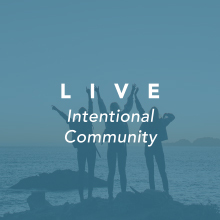 You will learn to be stretched through direct ministry opportunities, contextually-based study, biblical immersion, community involvement, retreats, and individual mentoring with a committed, well-trained mature believer.